We are happy to announce the birth of (First Generation) Cockapoos pups born in April, 2019. We are now accepting deposits. See our prices page to submit a nonrefundable deposit. We accept credit card, debit card and PayPal payments for deposits. Please follow our process below by calling first before attempting to place a deposit. To be notified of future litters contact us at (855) 647-0770. Price for active waiting list is located in our payment option one drop-down menu at the bottom of our Home page or Prices page. Only active wait list customers will be given detailed information of upcoming litters prior to notification published on our website to the public. See information on shipping (shipping). All year round we have a number of females showing signs of matting. As always, customers who are on our waiting list will have the first chance to get a pick from the litter before we publish information live. We ask all potential customers to be patient, as our method of caring for our parent dogs may take a little longer than some, but the end result has proven to us to be worth the wait. To gain access to our waiting list each client must place a $100.00 (non-refundable) fee however when you make your purchase, you will be credited this ($100.00) fee in the final payment (this applies to customers who choose payment option 1 only) . 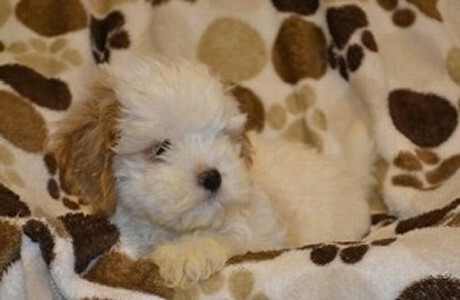 The wait list fee is our assurance that you are sincere about owning a Cockapoo. This fee may be paid via PayPal. Credit cards may also be used via PayPal. Before paying any fees with us, please call 855-647-0770. 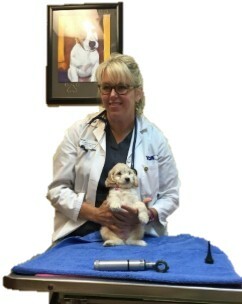 We do our best to fulfill the requests of our clients, but, genetics being what they are, we cannot predict which coat or eye color will result from any breeding. Go to the Prices Page and choose option 1. Located at the bottom menu, you will see "Wait List" fee option. Select this option and follow steps through PayPal. Note: Your Name and contact information must be accurate and up-to-date. Please be sure to check this information before paying the Wait List Fee. It is the customer's responsibility to ensure that this information is correct. The wait list fee is good for 6 months from when it was placed or for up to 2 litters (whichever comes first). It is the client's responsibility to keep us updated with any changes in their contact information. 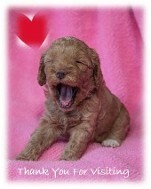 Shortly after the puppies arrive, clients will receive, via E-mail or cell a picture of the entire litter. After you select your puppy, the First HALF OF THE BALANCE IS DUE by Paypal. The remaining balance is due IN CASH when you pick up your puppy. When the puppies are approximately four (4) weeks of age, the viewing process will begin. Please bring the exact amount. Our average litter size is 4-8 puppies. We have ONE LIST for each category of breed for sale. Clients should have some idea of what they desire in a puppy prior to placing a deposit. When a litter is born, all waiting list customers will be notified at the same time. 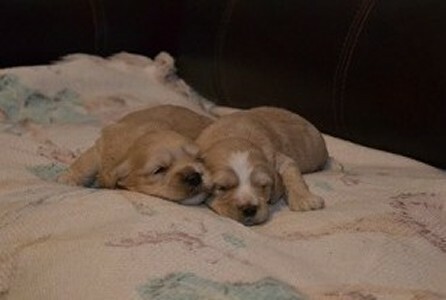 We will then reserve a puppy for those on our list who responded to our announcement in the order of the response time. When a litter reservation is complete, then the remainder of waiting list customers are automatically defaulted to the next available litter. When a client refuses a selection, the next client on the list will be offered the opportunity to choose from the remaining puppies. This will continue until all puppies in the litter are placed in new homes. As puppies are chosen, those clients who no longer are active (according to 6 month rule) will be removed from the waiting list and the list continues with customers who are tagged according to Active Waiting List status. 24 hours after announcement has been sent to Active Wait List clients, puppies can be offered openly to the general public. As was previously stated, fees/deposits are non-refundable; however, the Wait List Fee is good for 6 months from when it was placed or for up to 2 litters (whichever comes first). Should a client be moved from the Active Waiting List, for whatever reason, they will be placed on the Inactive List. They will remain on the Inactive List until such time as we are contacted with their desire to return to the Active List. Breeders reserve the right of First choice on all litters, including the entire litter. Shortly after our mom dog gives birth, we notify via text, call and or e-mail to all of the customers who have already contacted us and requested to be put on our waiting list. Periodic updates may also be sent out to Active Wait List clients of expected time of new litters status. ALL PRICES HAVE SALES TAX ALREADY INCLUDED. Our prices may vary (see our Prices Page). 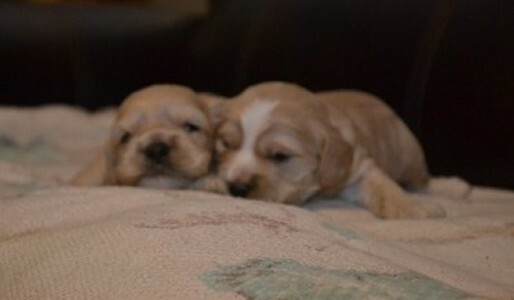 A&J’s LoveOurPups website news is periodically updated with information on our parent dogs as well as our puppies for sale. Our current family of 5 female dogs breed about twice a year, so we could have a dozen or more pups running about our backyard at a time. These home-raised critters make great friends and are easily crate trained. They make good birthday, Christmas, graduation (or other occasion) gifts. Lost a pet (for any reason). Good for grandparents and people who live alone or couples starting or thinking of starting a family. Pets are loving and very loyal. Have gone through a divorce. We are licensed breeders by the State of Georgia. When you choose from our pups, you are buying dogs that have been raised in a happy home rather than a mill or shelter. Rest assured that when you buy cockapoos from us, you are getting Registered pups that come with their official papers and lots of love to give! Tip of the day: Beware of Online Scams, Bad Breeders, and Puppy Mills. We recommend that you do your research (on-line) before purchasing from a breeder that you are interested in getting a puppy from. Please see our Contact Page for information policies regarding deposits. To find out when we are expecting our next litter of cockapoos, contact us in Dacula, Georgia, (map) today.